LUXOR, Egypt — An Egyptian Christian teacher detained over charges of insulting Islam has been released on bail on Tuesday, her lawyer said. 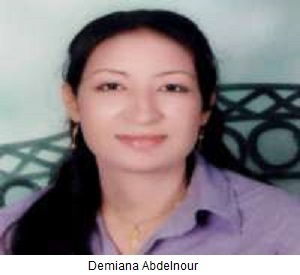 A history and geography teacher in the southern city of Luxor, 24-year-old Dimiana Abdul-Nour paid L.E. 20,000 (almost $3,000 dollars) to be freed pending further investigation, the lawyer, Badawi Abu-Shanab said. The decision comes four days after a judge ordered her detained for 14 days during the investigation. Parents of a student had accused the teacher of showing contempt to Islam while talking to fourth-graders about religion. Three pupils allegedly complained the teacher showed disgust when she talked about Islam, something the family and lawyer of Abdul-Nour denied. Egypt is witnessing a surge of blasphemy-related allegations leveled by ultraconservative Islamists against their critics, including the country’s Christians who make up 10 percent of the population. Christians have long complained of discrimination. Emboldened by Islamist electoral gains since the ouster of president Hosni Mubarak in the 2011 uprising, members of the fundamentalist Salafi movement have recently been linked to a spike of violence against Christians. Just like cases of insulting Islam have been on the rise lately, instances of Egyptians investigated over insulting Islamist President Mohammed Morsi have also spiked. In one recent case, a Muslim English school teacher was summoned for questioning on Tuesday by police over a question in the final exam he wrote that was deemed an insult to Morsi, according to the state-run Al-Ahram daily website. The accusations, filed by the Alexandria Teachers’ Union, alleged that Ihab el-Islamboli included a question in his exam which mentions that: “in the animal kingdom, a sheep can’t be king,” according to the paper. Opponents of Morsi’s Muslim Brotherhood have been using references to sheep to mock the group’s members, saying they blindly obey instructions of their leaders. The teacher denied the allegations and said there is not a single reference to the president in the whole exam, the paper said. Egypt has been deeply polarized under the rule of Morsi, who is seen by opposition as empowering Islamists and not living up to promises to include liberals as partners in politics after the uprising.